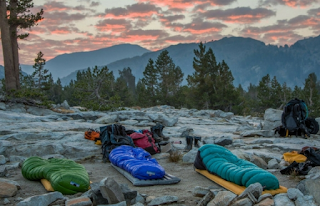 Your sleeping bag is one of the 'big 4' backpacking items that you can really make big weight saving gains. My around the go-to bag is the Zpack 20 for three seasons. In the hight of summer if in hut accommodation I use my Western Mountaineering Highlight. thanks for that. Hoping to see the MontBell bag, which is stretchy, in there but I guess they're all US brands? My UL backpacking brother loves his.